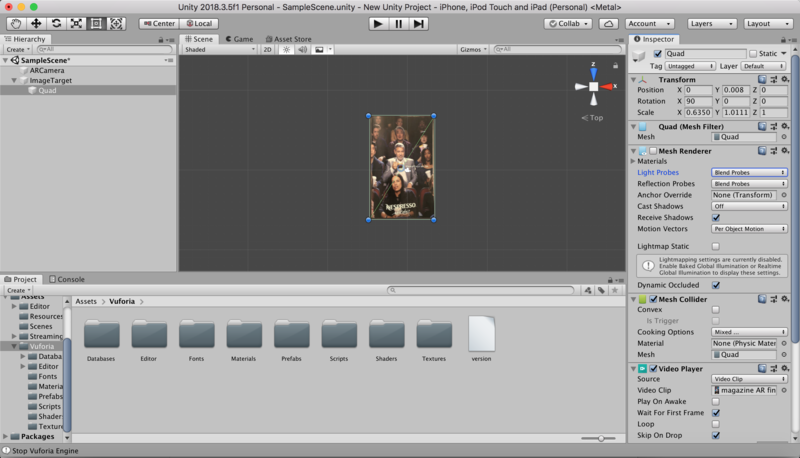 I am using Unity to create an AR interaction and have a video clip placed on top of my target image and in a quad. It plays correctly but only the colors are darker, almost like an overlay on the video. Browse other questions tagged unity3d augmented-reality vuforia video-player or ask your own question. Play video even after when target lost in Unity vuforia? Video player displaying after sometime when target image detected in Vuforia Unity3d?